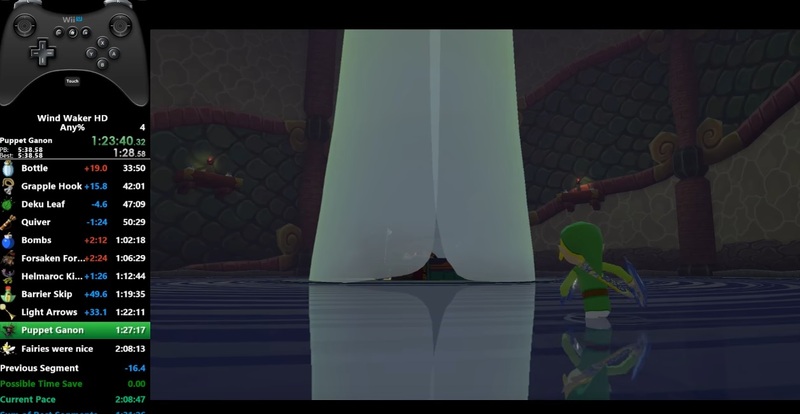 In several ways, this new record for The Legend of Zelda: Wind Waker HD is nothing short of a miracle. There's a few close shaves, but ultimately, gymnast86, who also competed heavily and consistently came out on top in the initial salvo of Breath of the Wild speedruns, manages to nail it at 1:35:57. In case you aren't aware of the typical path, it goes from Outset island, to the Forsaken Fortress, to Windfall, then Dragon Roost Island/Cavern, some item collection, and then Hyrule Castle for the final encounter. The main mechanic used to traverse everything so quickly is called "Superswimming," which allows players to shoot like a rocket across the water without a raft. Nearly every any % Zelda run has its own tricks, and this hour and a half video is one of the most condensed ways you can get your Wind Waker fix.